Maletz (Malec, Maltsev), Victor [Віктор Малець (Мальцев)] – soldier, active in community affairs; born on 1 October 1894 (1896 according to some sources) in Chuhuiv (Kharkiv oblast, Ukraine; at that time – Kharkiv gubernia, Russian Empire); died on 9 July 1969 in London, England, United Kingdom; buried in Gunnersbury Cemetery, London. After graduating from a gymnasium secondary school in Chuhuiv, Maletz began to study at the University of Kharkiv, Faculty of Medicine. During the First World War he was called up to the Imperial Russian Army (1915) and graduated from the Alexander Military College in Moscow (1916). He fought in the war and ended his service in the Russian army with the rank of staff captain. From December 1917 he served in the armed forces of the Ukrainian Central Rada and then in the Army of the Ukrainian People’s Republic (UNR). From December 1918 he commanded various battalions and regiments of the UNR Army. He was twice wounded in battle, and was promoted to the rank of lieutenant colonel. Following the westward retreat of the UNR Army in November 1920, he was confined in various internment camps by the Polish authorities. In 1923 he moved to Czechoslovakia where he studied at the Ukrainian Husbandry Academy, Department of Chemical Technology, in Poděbrady. After graduating in 1928, he moved to Warsaw where he enlisted as an officer in the Polish army (under an agreement between the Polish government and the UNR government in exile on the training of personnel for the future re-constitution of a Ukrainian army). In 1934-1936, with the rank of major, he studied at the Polish military academy in Warsaw. At the outbreak of the Second World War in September 1939 he was chief of staff of a unit defending Kraków against the advancing German army. After the fall of the city he retreated with his unit to Hungary. Maletz subsequently returned from Hungary to Kraków, which was the base of the military staff of the Organisation of Ukrainian Nationalists (Melnykivtsi), or OUN(M), and in 1940 he headed an officers’ school run by the OUN(M) in the city. From the autumn of 1941 to the early part of 1943 he was in central Ukraine as part of an OUN(M) expeditionary group, while officially serving as district Sugar Board director in Smila, and subsequently in Kirovohrad (now Kropyvnytskyi). In May 1943 he volunteered for service in the Galicia Division, but was turned down owing to the state of his health. Instead, he became an official with the Military Board which dealt with recruitment to the Division and provided support for its personnel and their family members. In March 1945, with the rank of colonel, he became a member of the general staff of the Ukrainian National Army whose formation, on the basis of the Galicia Division, began towards the end of the war. In May of the same year, when the Division surrendered to the British army in former Austria, he made his way to Spittal, where the Division’s personnel were assembling, and was subsequently interned in British prisoner-of-war camps near Bellaria and Rimini in Italy. 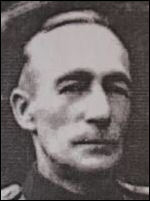 In 1947 Maletz was transferred to the United Kingdom with the former Galicia Division personnel, and in 1948 was released from prisoner-of-war status. From 1949 to 1958 he was a member of the London Office of the Ukrainian National Council Executive Committee, responsible for military-related matters. In the 1950s and 1960s he was a member of the Governing Council of the Federation of Ukrainians in Great Britain, and subsequently worked in the organisation’s head office. From 1951 he was editor-in-chief of Na Stiitsi, the official publication of the Association of Ukrainian War Veterans in Great Britain. At the inuagural meeting of the Ukrainian Officers’ Club in 1957 he was elected its head. From 1963 until his death he was head of the Ukrainian Veterans’ Council in Great Britain, a co-ordinating body for various associations of former servicemen.